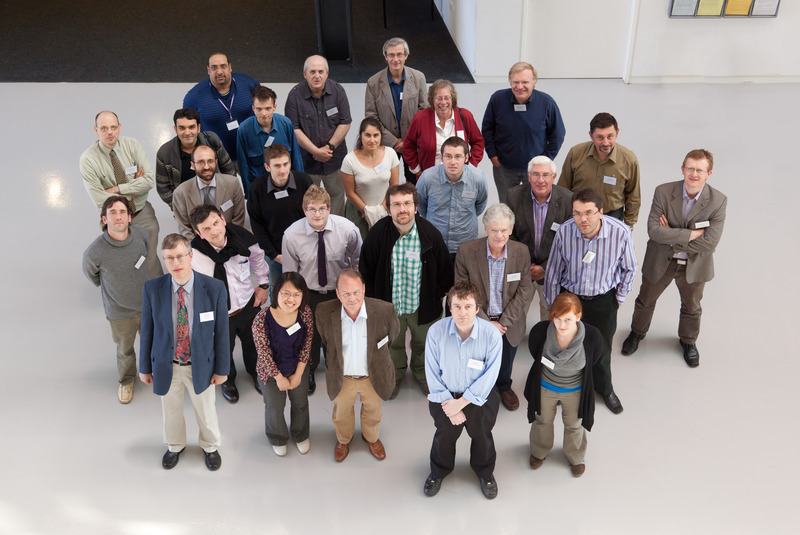 MOPNET is an EPSRC Network comprised of engineers, mathematicians and physicists interested in the linear algebra, analysis, engineering and physics of matrix and operator pencils. This is the fourth MOPNET workshop. More details of MOPNET and the previous workshops can be found on the MOPNET website. The workshop is preceded on Tuesday April 26 by a meeting in MIMS on Tropical Mathematics and its Applications, which may of of interest to MOPNET delegates. Group photo (to save, right click then "save target as") lowres image - hires image. Ken Badcock (University of Liverpool). Peter Butkovic (University of Birmingham). E. Brian Davies (Kings College). Fernando de Teran (Universidad Carlos III de Madrid). Stephane Gaubert (Ecole Polytechnique, Paris). Sven Hammarling (University of Manchester and NAG). Paul Van Dooren (Catholic University of Louvain). This event is supported by MOPNET, CICADA, and MIMS.